Charismatic and photogenic in equal measure. The Tompot blenny (Parablennius gattorugine) is a favourite fish for many a photographer. They are one of the most charismatic fish in British seas. The large eyes, wide mouth and branched head tentacles give them an unmistakable appearance. 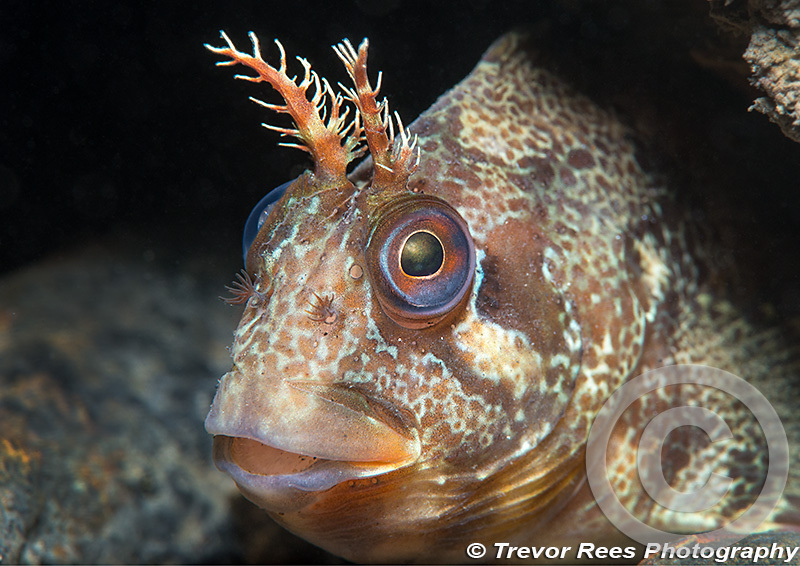 This inquisitive individual was found hiding in a hole under Trefor pier on the Lleyn peninsula.